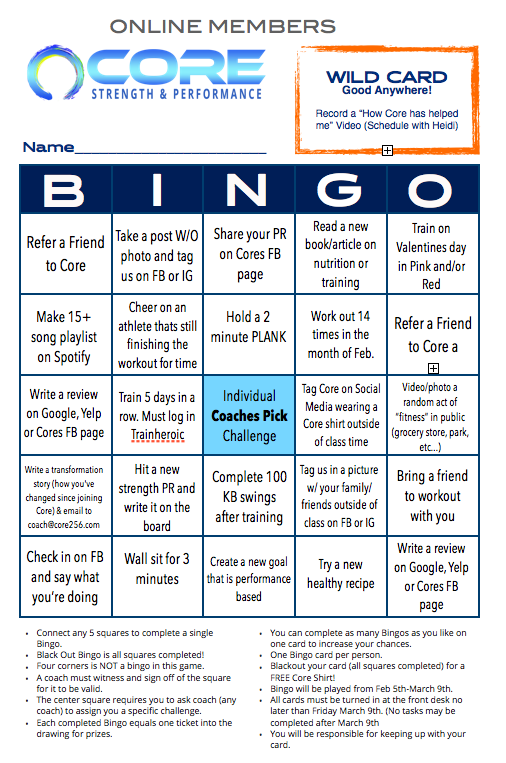 Bingo is hitting Core Strength & Performance February 5th through March 5th, 2018! You aren’t going to want to miss out!! 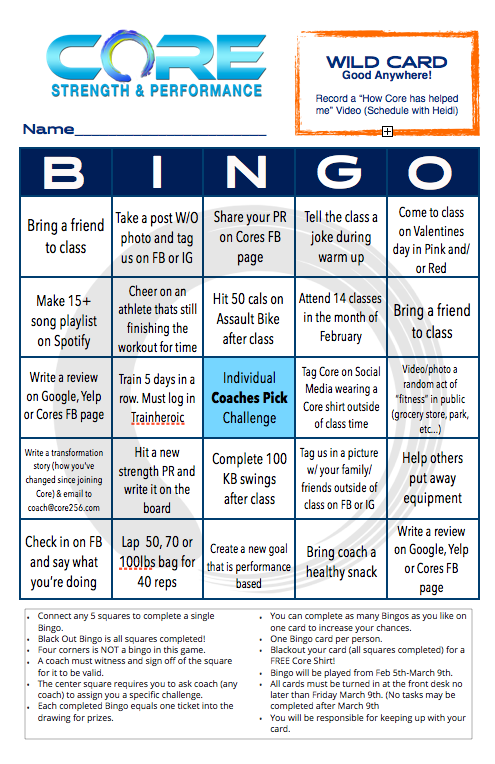 Printed Bingo cards will be available on the check-in table. Connect any 5 squares to complete a single line Bingo. Black Out Bingo is all squares completed! A coach must witness and sign off of the square for it to be valid. The center square requires you to ask coach to assign you a specific challenge. Each completed Bingo equals one ticket into the drawing for prizes. Prizes will be drawn at the end of BINGO. You can complete as many Bingos as you like on one card to increase your chances. One Bingo card per person. 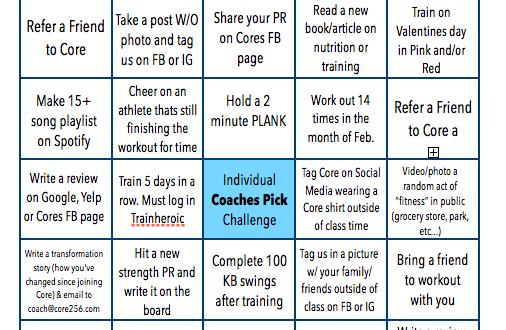 Blackout your card (all squares completed) for a FREE Bag Core Shirt! Bingo will be played from February 5th to March 5th 2018. You will be responsible for keeping up with your card. Will we have a folder on the check-in table should you want to store it there. ONLINE MEMBERS need to take a photo or video and upload it to social media (or to Heidi) to verify. And other awesome SURPRISE prizes!! !